Every once in a while, as people, we make connections that go deeper than usual. Think about your life. Who has it been for you? My deeper connections – the ones that happen at the soul-level, often happen in the context of a shared activity that is loved by both. My friend Cate was here last summer. 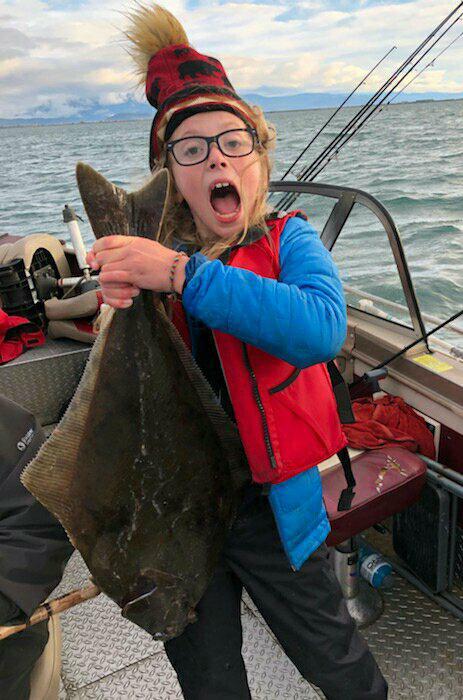 The excitement she displayed while fishing with me was contagious, and she reminded me so much of myself when I was her age – except for one thing: I’m not female – which makes Cate even more special! This is when Cate was leaving me. I didn’t want to let her go. Sometimes, I just want to keep peoples kids. This is one of them! It became apparent that all like to fish, and perhaps they get this from Granddad. Rain or shine, they wanted to be fishing. We burned the candle at both ends. What I love about Cate is that she is squeamish about nothing, and wants to experience EVERYTHING! She wants to hook the fish, reel in the fish, net the fish, bonk the fish, bleed the fish, bait her own hook, gut the fish, clean the fish, dissect the fish, eat the fish. Get the picture??? “Hurry up mom, this thing’s heavy!! 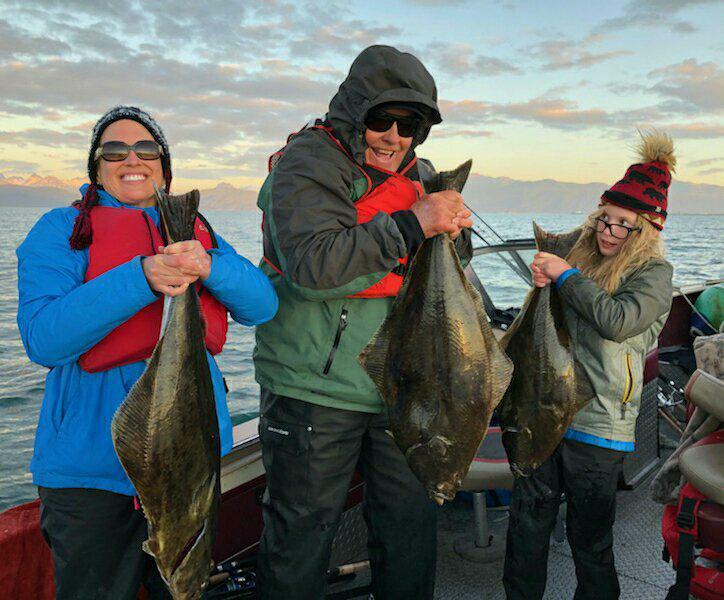 !” Cate caught this halibut all by herself – start to finish! I think Cate and I get along really good because I “get her.” I just help her inquisitive nature along, let her indulge herself, answer her questions, let her explore things for herself, make sure she’s safe with knives… you know. Mom humors her most of the time, but has to set boundaries at times – so that things don’t get completely “out of control.” Dad and Granddad may find Cate more challenging, I’ve noticed (hey, I’m a therapist, and that’s what we do)! When Cate grows up (which she is doing too rapidly by the way: CATE SLOW DOWN!!) – she wants to work in the fishing industry, perhaps as a deckhand, to earn money for college. Well, if Cate still wants to do this after high school, and I’m still fishing in Homer and need the help, well, she will be welcome for sure! Always so eager to learn and help, and entertaining too – I just love it! 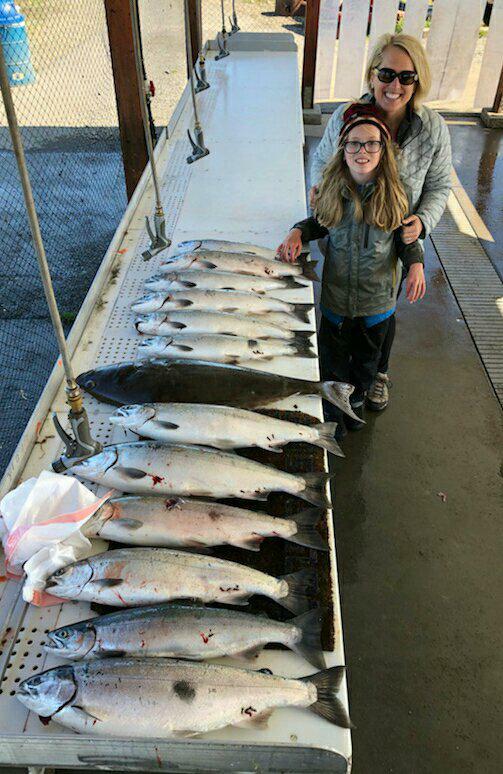 Cate and her mother Susan pose with one of the piles of silver salmon we caught. Right after this, Cate dug in and started helping me clean, dissect, study, you know…everything! figure about 1500 people come through Majestic View Bed and Breakfast every summer. Some, we really make deep connections with – and those are the ones Maria and I remember the most. 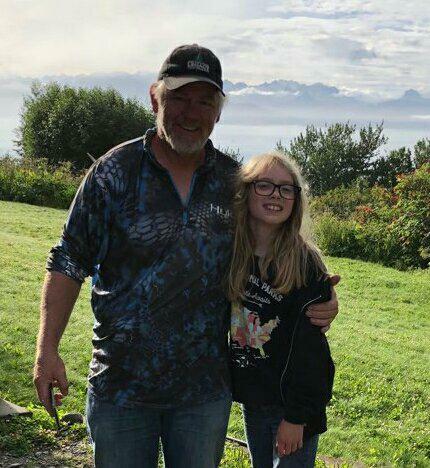 Cate and her family are at the top of the list, and without a doubt, Cate is the young lady who is my favorite-est of all! Word is that mom and dad are going to insist that Cate sees other parts of the world before coming back to Homer again. Like, they want to take her to Yellowstone or something. Well, I think that’s great. We all need variety and well rounded lives and the chance to experience new things… other places. Just don’t you stay away too long Cate cuz I miss you already! The other day – I had a family email me with a question. They were already planning to come, and already assumed they could bring their great big Irish Wolfhound puppy. What they wanted to know was if they could bring their kids? Right. I guess some bed and breakfasts allow dogs, but not kids. Kids are the greatest, and are always welcome at Majestic View. Our dogs love them, and they love our dogs. We have lots of room to play, and there’s so much to do and explore just right around the city of Homer. Maria also loves kids and does little art projects with them. Me? I like to get them out in my boat, show them all the cool stuff on the bay, and see their eyes light up with wonder. They are fun to feed, and tease at the breakfast table. Heck, I just finished playing with two young ladies just before I began this blog. Folks: BRING YOUR KIDS TO MAJESTIC VIEW!